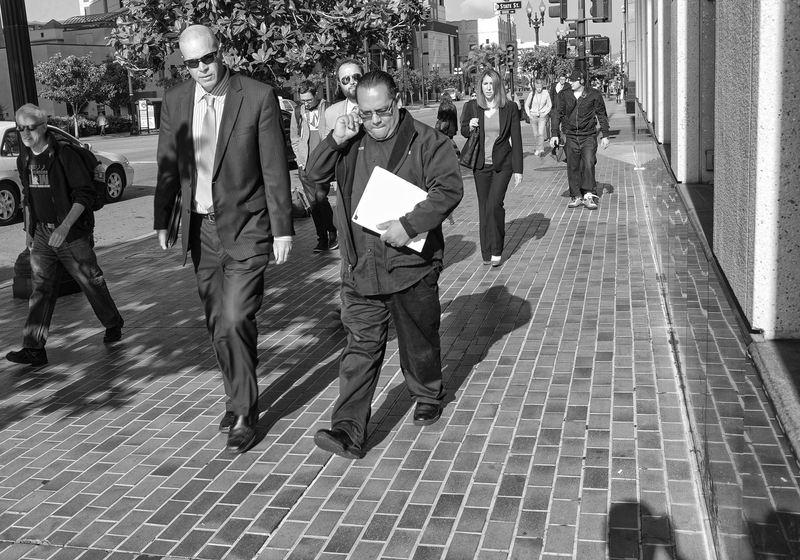 On a very brief stroll while in San Diego on business, we were reminded of just how powerful that SoCal light is in the A.M., people walking on a flat surface yet seeming to have to push against it to get anywhere. Good things happen where light meets dark, photographers say, and we were reminded just how much of those contrasting elements West Coast photographers have to play with. We materialize in shadow in the lower right. Leica Monochrom, 35mm Summilux FLE, orange filter. That train looks angry. 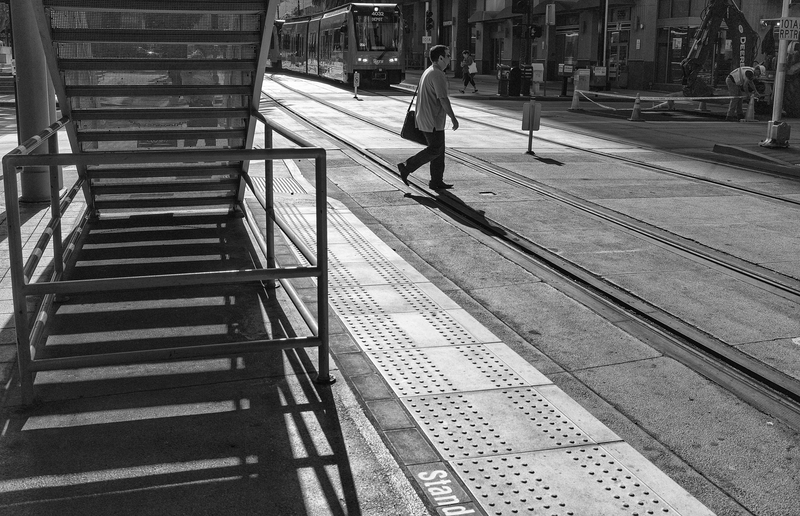 Leica Monochrom, 35mm Summilux FLE, orange filter. 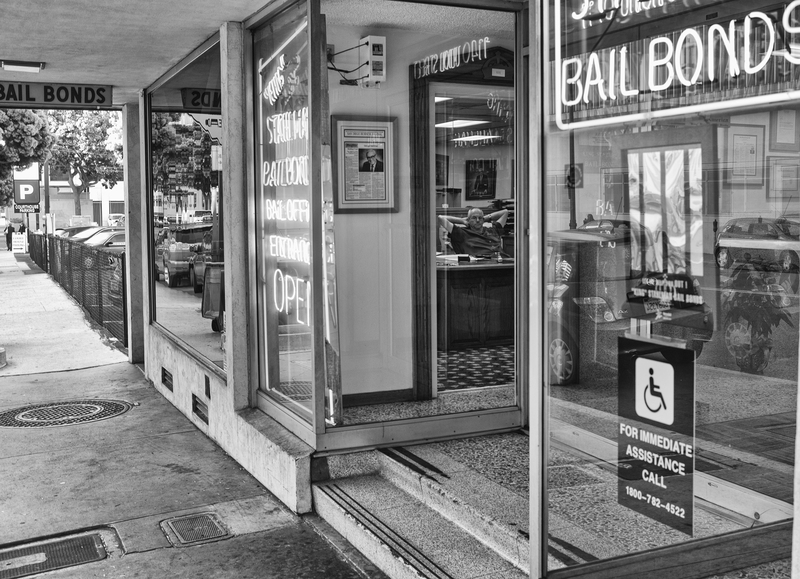 San Diego bail bondsman, Friday, April 26th, Leica Monochrom, 35mm Summilux, Orange filter. 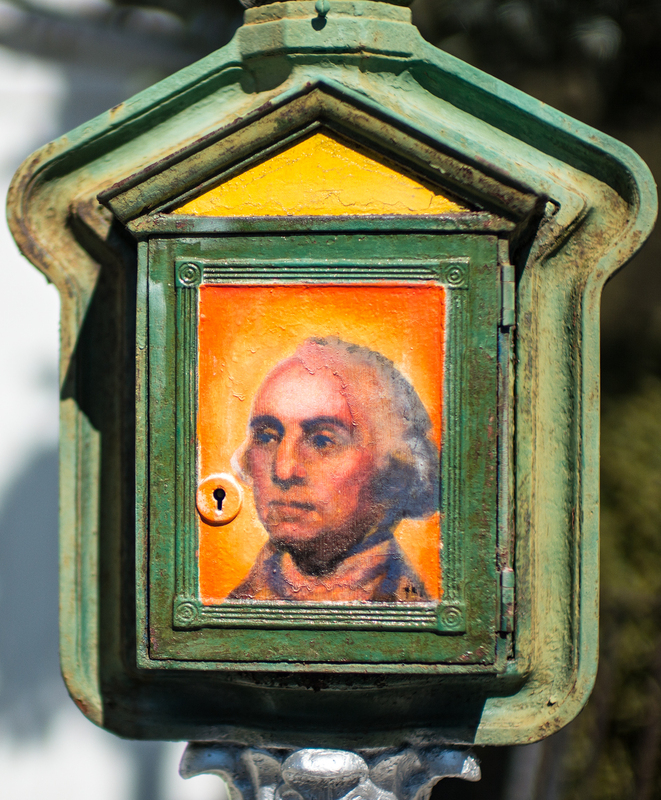 We must have driven by the old fire alarm a hundred times without ever noticing someone had painted it with a portrait of our city’s namesake… Leica M, Noctilux. A few weeks ago, we posted a review with some of the backstory on how it came to be, more than 30 years hence, that Wire would record in a studio many of the songs first released in 1981’s mess of a live album, Document and Eyewitness. Change Becomes Us is a really interesting album, judged strictly by the standards of contemporary music. That it actually comprises a baker’s dozen songs that were meant to be Wire’s follow-up to their opus 154, which came out in 1979, makes it all the more remarkable. What we did not know three weeks ago — what we did not know many years ago, when we were assigned by Ira Kaplan (Yo La Tengo) to review Wire’s posthumous mess of a live album — was that after the band had released, in 154, probably the most accomplished record of that ephemeral post-punk era, EMI dropped them from the label! The artsy/sloppy implosion that took place on the stage of the Electric Ballroom, and at Notre Dame Hall, captured on Document and Eyewitness, was the result of a band that had just produced a masterpiece yet suddenly had no place to stand. Their vulnerability, which led not only to a wildly unsuccessful show, but to the band’s demise (they reformed again in 1985, and a few times since, and as of this moment, are a thriving concern) came from having the rug pulled out from under them by EMI. The bastards. It, uh, didn’t work out, at least not then, judging from the boos to be heard on Document and Eyewitness, and the album itself was, we wrote at the time, a disaster. 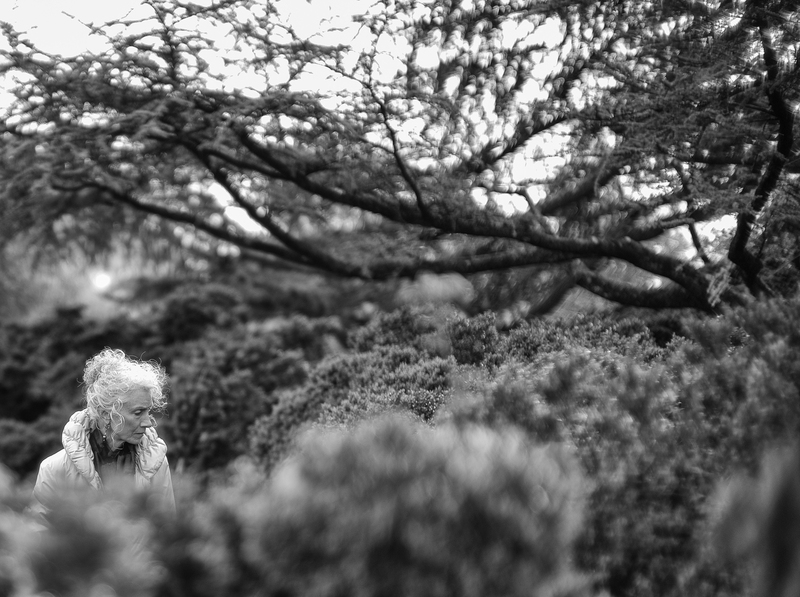 Last fall, when the Leica Monochrom was issued, we spent hours in The Bishop’s Garden at the National Cathedral, documenting the people who visited everyday. Our collection of images was meant to convey a unique urban oasis in black and white, which given how riotously colorful the flowers are there in September, was a lesson in reducing what our camera saw to luminosity, not chroma. After spending part of an early afternoon taking pictures of tulips in their most colorful (after)frenzy, we took a monochrome-only camera to The Bishop’s Garden, and were reminded, once again, of how black and white photography reduces images to their essentials. You are currently browsing the Tulip Frenzy blog archives for April, 2013.